I had already planned on taking this hike so it wasn’t just spur of the moment. What was spur of the moment was the argument I got into before I left, so going on this hike I figured would be the best way to take my mind off of things. I pulled up to the start of the trail, I was somewhat more prepared than my last hiking trip in Zion. I had decided to start my own hiking backpack with some of the small essentials. Water, flashlight, maps, hats, and some perishable food (even though this was a short hike I wanted to get used to the weight of the pack). The trail was maybe a total of a 2 mile hike, so I knew I would be back before night time. Plus the hike was a little busy already so I wasn’t scared of getting lost and not being able to find anybody to help. The trail started off with a small incline and some rocks, the city was even nice enough to engrave some rocks with arrows so hikers can stick to the trail. Up the first incline I found a rock that someone had decided to start a “heart” collection of other rocks, it was really cute and just served as a reminder of how much I’m loved, or at least that’s how I took it in my mind. I made it a point to find my own rock so I could add it to the collection. It was at that point that my calves started burning, and I realized that I could totally take my time on this hike, there was no rush, so I did. I walked off of the trail a couple times, stopped to enjoy the view, hung my feet off a cliff, and even tried to follow a deer trail. There was one point when I thought I has lost the trail, but all I had to do was climb some rocks to find the trail again. Which wasn’t that bad, just finding the easiest spot to climb them was kind of tricky. When I got on top the air changed, there was a smell of pine in the air, it was cooler, and had more nats in some spots. Due to the recent thunderstorms some of the trail was hard to find so I just started walking again, making my own trail. 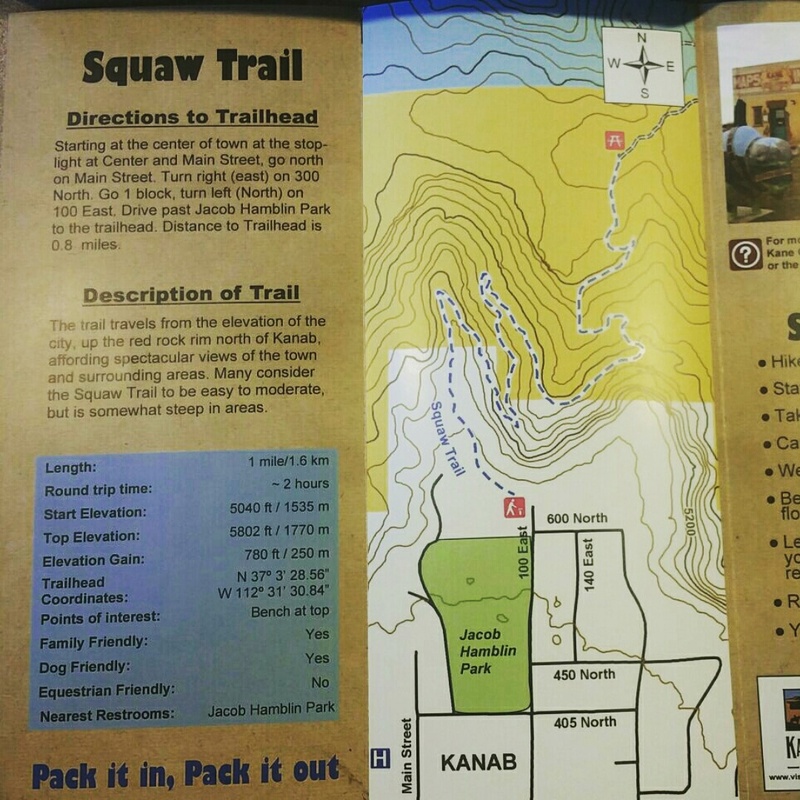 oddly enough though the way I was walking was the correct way because I found another marker that said squaw trail. 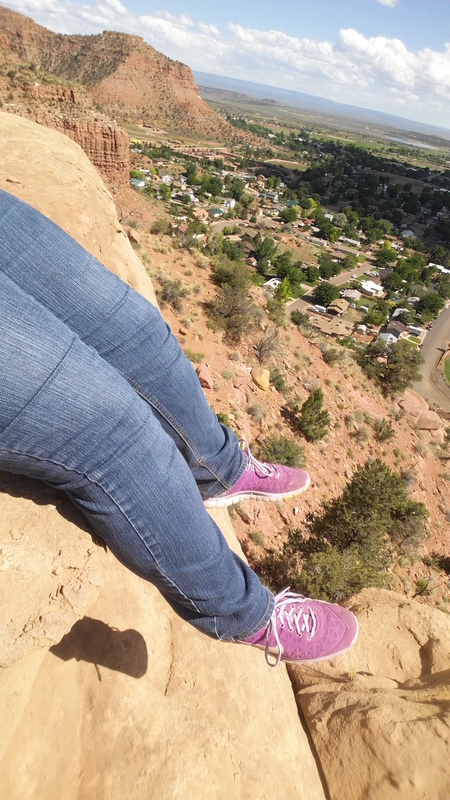 I continued walking until I found a cliff, decided I would stay there and just hang my feet off the ledge again. While sitting there I got some time to just think to myself, think about my day, my life, all of my problems, everything thats going right, all the things I’m grateful for, all of the challenges I’ve had in the last couple of years, how they have made me grow, just taking a look at everything in my life in general. I did at one point end up crying a little but i didn’t mind that so much. I took a moment to enjoy my view, listen to the birds talking to one another, see all the small people walking at the bottom, I could actually see people playing at the park and it was quiet enough that I could hear them talking but not make out the words. of course I screamed to hear my echo which sounded really awesome! At one point I even helped some lost hikers to find their way back to the trail. After sitting up on that ledge for about 30 minutes I decided it was time to come down. So I gathered my things and started my descend. It was fairly easy coming down, I jogged a bit, but due to the fact that there was some rocks and roots sticking up I did have to walk some. Which I didn’t mind at all, just meant I could leisure my way down. Oh, I forgot to mention that I did end up finding my heart rock to add to the collection of other rocks, so I really enjoyed that! Felt like I left my mark on the trail. The best part about the way down was seeing the markers count down from 13 to 1, which made it like a fun countdown game lol. When I finally saw my car I let out a small sigh of relief, not because it was that hard of a hike, but because I did it! I could cross it off my hike to do list and add it to he return hike list. 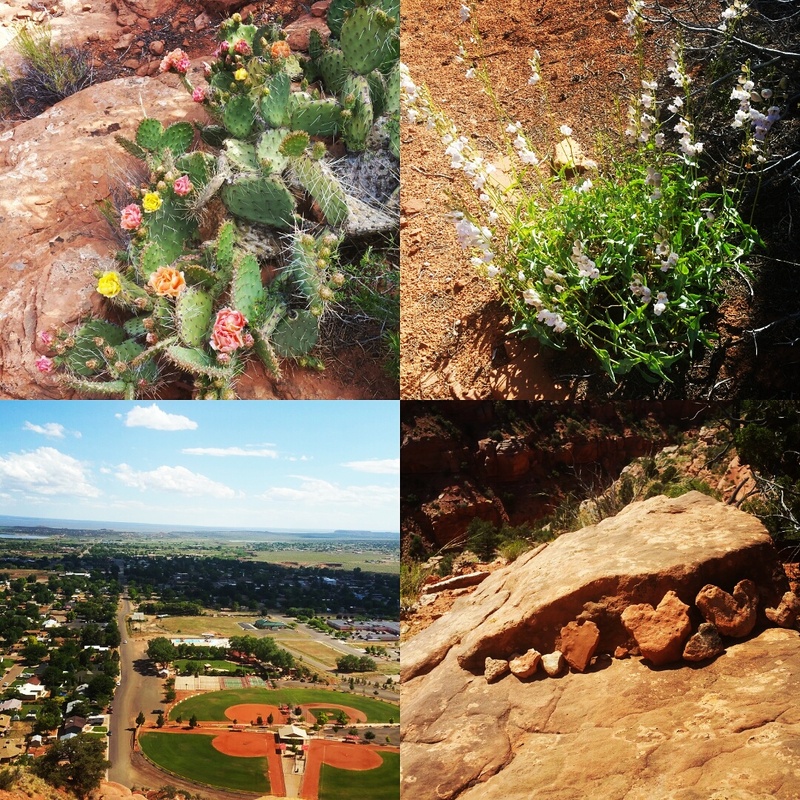 Overall though it was easy with some spots that require you to reach and climb up rocks. 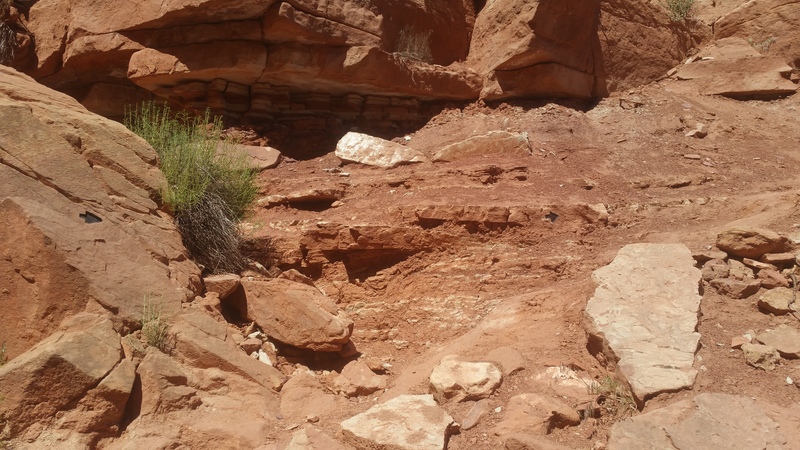 There are some cliffs that you can gaze out at, there is plenty of shade so taking a rest wont be a problem..I would definitely recommend this trail if you have a couple hours of leisure time and nothing to do.